Gift giving in CityVille provides many nice free items you can use to build your city. One of the best gifts you can send is the three pack of energy. Store up to fifteen of the energy packs in your inventory and use them when you need some extra energy. Zynga released the mystery gift a while a go and this is another great gift to send back and forth between friends. When you send this gift, you’ll get coins and other items for your city. As you build your city, you’ll need plenty of zoning permits to expand. Don’t buy these in the game store ask for them from Facebook friends and be sure to send them as a gift too. When you build community structures in the game, you often require various parts for your new building. Ask for these items from friends and don’t pay for them with CityVille cash. Other free items you can send with gifts include trees, animals, and flowers. When the game releases new content be sure to check the gifts because there’s often a new item you can send to friends. Sending and receiving gifts is one of the best ways to get free items in the game. Be sure to have plenty of Facebook friends to get these items on a regular basis. Don’t spam your friends for gifts though this is never a good practice. 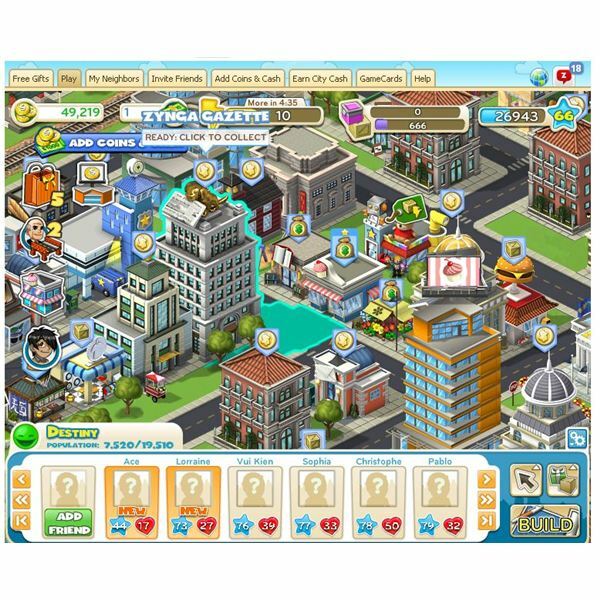 Visiting your Facebook friends is another way to get CityVille free things in the game. If you’re running low on energy, just visit a Facebook friend and you’ll get one energy point per day. Visiting friends also gives you some coins and experience points. When you visit a friends city click on grown crops to harvest them for your friend and get some free goods in return. If you have a large number of Facebook friends and they all have ripe crops you’ll get enough goods to refill a few of your businesses without spending money on crops yourself. In the game, you can collect items and get rewards once you have the set. Here’s a list of some the great free items. Zynga RewardVille has some great CityVille free things for your city. You’ll get these rewards just for playing the game. 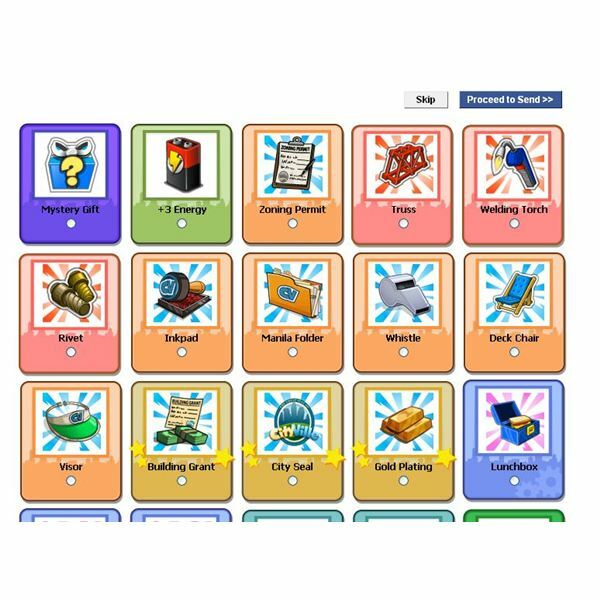 Once you reach the proper level, you can use your RewardVille coins to purchase some nice items. As Zynga releases more structures and game enhancements, you’ll see more free items too. Check the forums, which is a good place to know when new releases are coming for the game. You don’t need to spend real money and City cash to enjoy the game since there are many free things you can get for the game. Send gifts back and forth between friends and visiting your friends gives you plenty of free content to use in your city. Complete as many collections as you can for free items and you can complete each one more than once for multiple items. Join the new RewardVille and level up in the program to collect a whole host of free items by spending your level reward coins on them. All you need to do is play the game to level and you'll get free items.